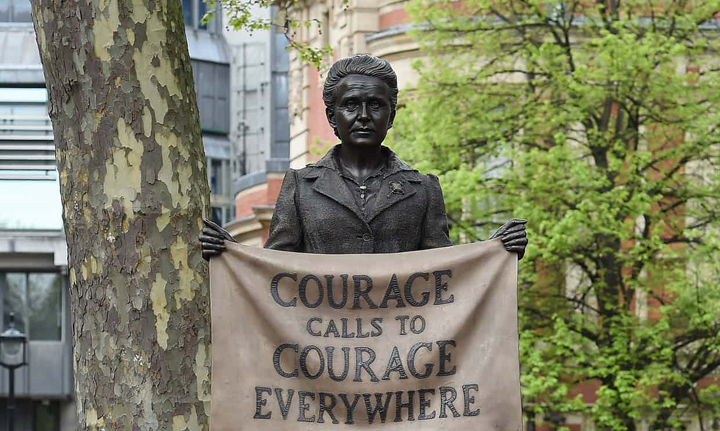 Turner Prize-winning artist Gillian Wearing created a memorial to suffragist Millicent Fawcett, making it the first statue of a woman in London’s Parliament Square. The Guardian writes, “The sculptures that adorn our public spaces matter. It is time for women—and not just the semi-naked women who are sculpted as allegories for Justice or Peace—to become part of the grammar of our streets.” The BBC explains that less than 3% of statues in the United Kingdom are of women. Turner Prize-winning artist Lubaina Himid requests that galleries showing her work reach out to black artists nearby to include in programs alongside her exhibitions. ARTnews announces Laura Aguilar’s passing. Chicana photographer Laura Aguilar died at the age of 58. The Museum of Contemporary Art Chicago announced the first ever winner of the Dunya Contemporary Art Prize, which aims to increase exposure for Middle Eastern artists. The winner, Qatari-American artist Sophia Al-Maria, received $100,000 and a new MCA commission. What do Queen Elizabeth I and Frida Kahlo have in common? The Art Newspaper shares parallels in their lives by looking at portraits of the two figures. Anicka Yi shares challenges she’s faced as a woman artist. “I could be the President of the United States, and still half the people in the room would question my authority,” she says. Smithsonian interviews Amy Sherald about painting Michelle Obama’s portrait in a new podcast episode. 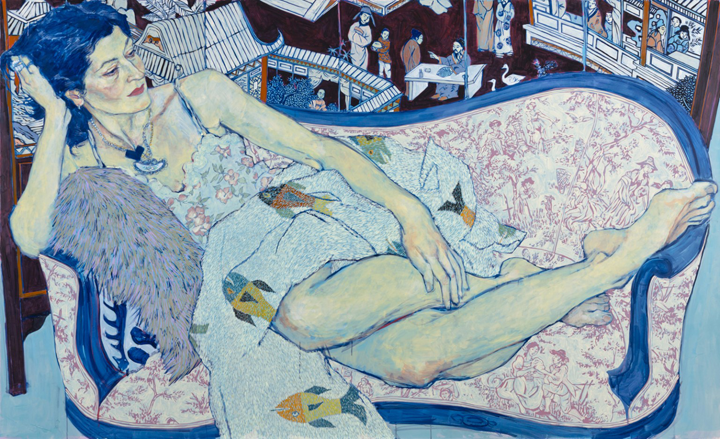 Artist Hope Gangloff captures the personalities of her friends and family in brightly colored large-scale portraits. A new Barbie inspired by Frida Kahlo has been banned from sale in Mexico. Rachel Kushner explored life inside a California prison for her third novel, The Mars Room. SNL actress Aidy Bryant will star in a comedy series based on Lindy West’s book Shrill. Published in 1983 but recently reprinted, How to Suppress Women’s Writing outlines the obstacles women in literature have faced throughout history. Hulu begins the second season of the dystopian series The Handmaid’s Tale, adapted from the Margaret Atwood novel. 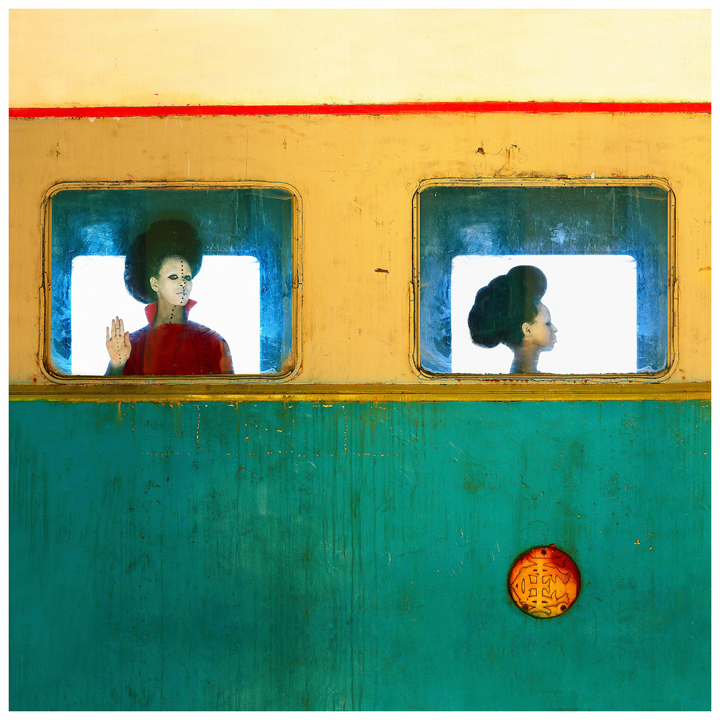 Ethiopian artist Aïda Muluneh subverts stereotypes of Africa perpetuated by Western media. “I’m trying to share my heritage but also to show the universality of people around the world,” says Muluneh. Her photography is currently on view at the Museum of Modern Art. In an interview with Apollo Magazine, artist Huma Bhabha discusses her large-scale bronze sculptures installed on the Metropolitan Museum of Art’s Cantor Roof. Corita Kent: Get With The Action is on display at Ditchling Museum of Art + Craft in England. “We live in a time when popular action seems complicated and confusing; and Kent’s simple, heartfelt message rings down the decades,” writes the Guardian.